To fully and enthusiastically accept. All that this year has to offer, all that God has to offer, and MORE. Embracing calling, identity, challenges, celebrations, and the small moments. Embracing love, joy, and peace in ALL things. Embracing courage, fearlessness, and boldness. BUT Not letting who I am go unchanged, instead embracing growth! Grace, and a smile on my face. Today was deep cleaning day for my bathroom. It had been quite a while because, hey, I’m busy and who else every uses my bathroom besides me, right? Yeah, we’ll just say it was long overdue. Apparently our apartment has hard water because you can see it all over the drains and there is a ring around the toilet where the water sits. Disgusting, I know. So I did the whole bleach thing and scrubbed my heart out. Although I got a good amount of it with the first try, there were still those deeper stains that had been there the longest. I let the bleach sit for 10 minutes to really sink into those stains. 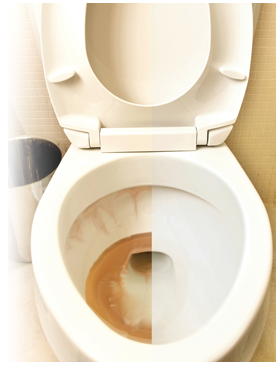 I probably scrubbed that toilet for a good 15 minutes and there are still some little spots of hard water stains. So frustrating to leave the toilet knowing that I did not get it all, though those spots may be virtually invisible to the person who just happens to glance in there. AND it did look a whole lot better than what it looked like before. For some reason I could not be fully satisfied. Even now, I go back and think to myself, if only I scrubbed harder or longer, or just didn’t let it sit that long in the first place, it would be all clean! This process reminds me of Jesus and how he cleanses and purifies us. While we may be considered 100% righteous, because we are justified by his blood, we still have to undergo this process called sanctification. Sometimes the stains are easily removed with a little bleach and the swipe of the brush, and others are tougher and require more attention and time to really scour away. Nonetheless, I know I look a whole lot better than I did before. BUT… what about that little thing that I can’t seem to get rid of? That little imperfection that always seems to come out at the worst time possible? That daily battle that reminds me just how human I am? Why can’t I seem to get rid of those things and be wholly perfect? I forget about how far I come and instead of saying “WOW! Look at how far God has brought me!” I think, wow, there’s that little grimy stain, still staring at me, and I can’t seem to scrub hard enough to remove it. Tonight, we had family night at our church. We celebrated the victory we have in Christ and made the decision to not live with the victim mentality, but to live in the reality of victory because 1 Corinthians 15:57 says, “But thanks be to God! He gives us the victory through our Lord Jesus Christ.” Instead of saying “why?” we can say “wow!” and live in awe of all that God has done and is doing in us and around us and through us. We can live with an expectation of victory because we serve a victorious God. Thank you Jesus for the victory that I have in YOU! May I never forget what you say is true. Recently I’ve felt a little displaced, so please remind me of you unending grace. When all I am says why me? Why now? Please give me the strength to instead say WOW! When I think all is lost-at first glance, now I know to do the victory dance! 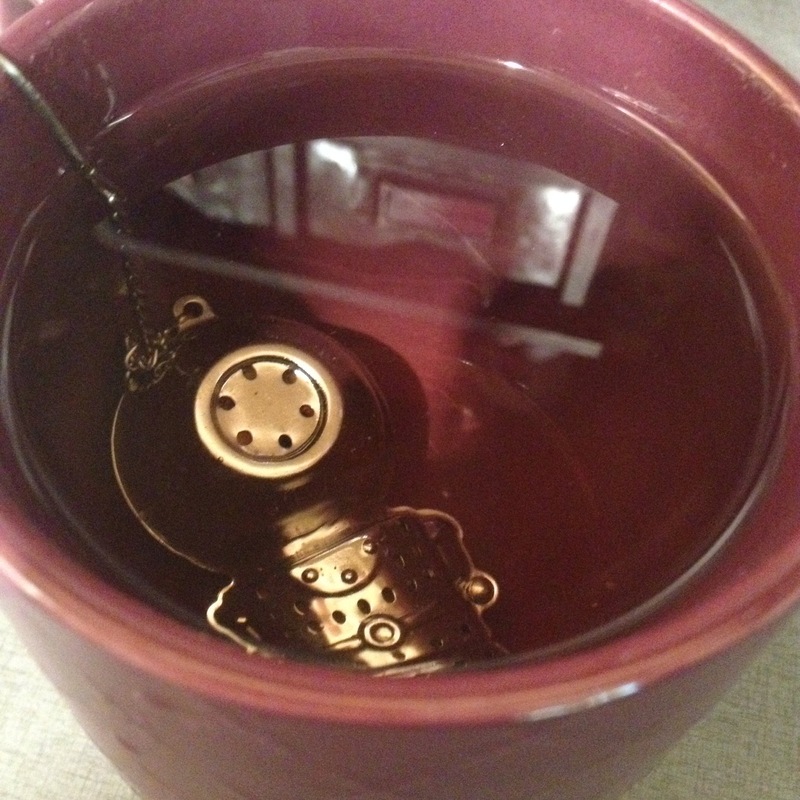 There’s a deep tea diver at the bottom of my cup. A deep tea diver who is longing to come up. The water just until the perfect cup he creates.